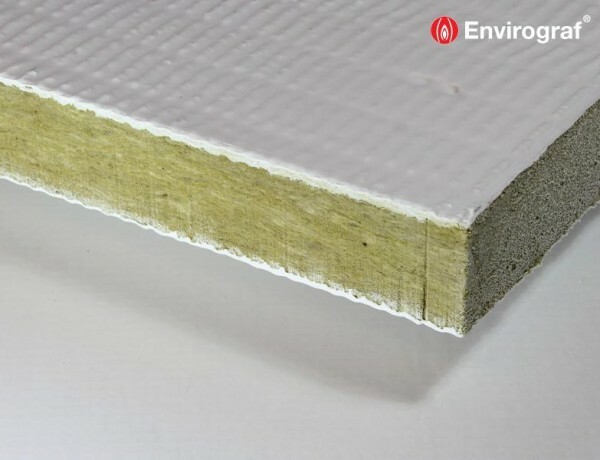 A high density rockwool slab with an intumescent coating on both main faces. These slabs are suitable for use as a permanent fire barrier in non-load bearing walls, floors and ceilings, or around services. PVC, copper or steel pipes and PVC electrical trunking. trays, then use Envirograf Product 29 cable tray pillows. Product 4, ref: SUP Metal Supports can be used. 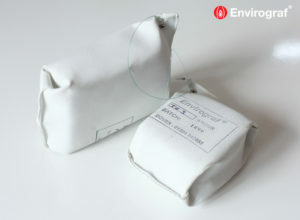 Product 1 Envirograf Pillows around cables that are having to be regularly changed. through the slab must have Wraps, etc., around the pipes and services. The coated slab is ideal for under computer room raised floors as a firebreak. Tested to BS476 Part 22 (1987), achieving integrity of 240 minutes.